by healing that often hidden yet embedded sense that "you're not good enough" or that "you don't matter", and by eliminating the many strategies we use to avoid this toxic shame pain (e.g., overdoing, defending, controlling, avoiding, addicting). You'll be learning concepts and doing powerful exercises, while journaling and sharing within a Circle Space community. This is the kind of transformational work that is enhanced and accelerated when we do it alongside of others, receiving guidance and support in an atmosphere of safety, authenticity and even humor. ready to become your best self or transform the world, this course will help you recognize Toxic Shame in yourself and others, responding in kind. Overall, this course helps us develop this Higher Wisdom, shifting and uplifting us, so we can bring more of these soul qualities into our lives and into the world. 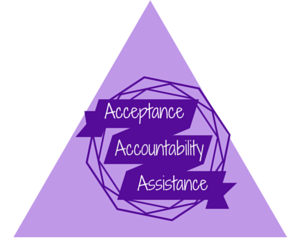 · Circle Space for community sharing, connecting and breaking your Toxic Shame Cycles! after Weeks Four and Six (dates and times to follow). Circle Space opens August 8th! dimensional resources to enrich and facilitate your experience, e.g., music, images, quotes, practices. This eCourse will be available soon as a Self-Study course. It will include all of the above except for the facilitated, interactive components: the Circle Space Community and the Live Q & A VideoChats. "Maria, you are a teacher. Bring your teaching out to many who are out there waiting to learn. Teach all ages. Your work belongs to the world- bring it out. You have so much to offer. Speak, your message is powerful; small groups, large groups. You are blessed with great talent and wisdom. Let the world know who you are. Let them hear your message and see you. You are ready now. You have earned your place. The past is not relevant anymore. You have looked at your life in total and you know who you are and where you come from. Your knowledge of yourself and what you construe are your negatives are indeed your great strengths. Because you know them and you know who they are. You are now a teacher and a healer. It’s time to unleash your power and wisdom on a people that yearn to learn." All ﻿Cour de Grace ﻿offerings are infused with special blessings. For example, one of the fonts used for this eCourse is called Shadows into Light. Through its use, the course carries that intention ~ both to bring what's in the shadows to the light and to convert shadow into light. 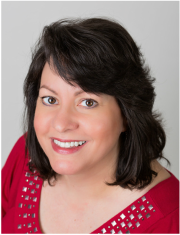 In addition, this eCourse holds a blessing for Clarity, Courage & Compassion as you delve into toxic shame and its healing. Join us with these sacred intentions at our next offering of this eCourse, sign up HERE to receive early notice. to admit his deepest failings. 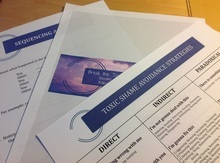 was the moment when this Toxic Shame model was first conceived, the Spring of 2003.
teleconference that September. She was born that October. This is the model that's been life-changing for so many. Get in on the gold! Be the first to receive notice of the next offering! My heart breaks whenever I see the impact our old paradigms have on our health and happiness, on our relationships, on our decision-making, on our safety and well-being, on our functioning as an individual and as a society. I can't get these Cour de Grace programs, products and publications out fast enough, and I appreciate all the help I can get. If this speaks to your heart, please pass this on and share it with your own Passion and Compassion.